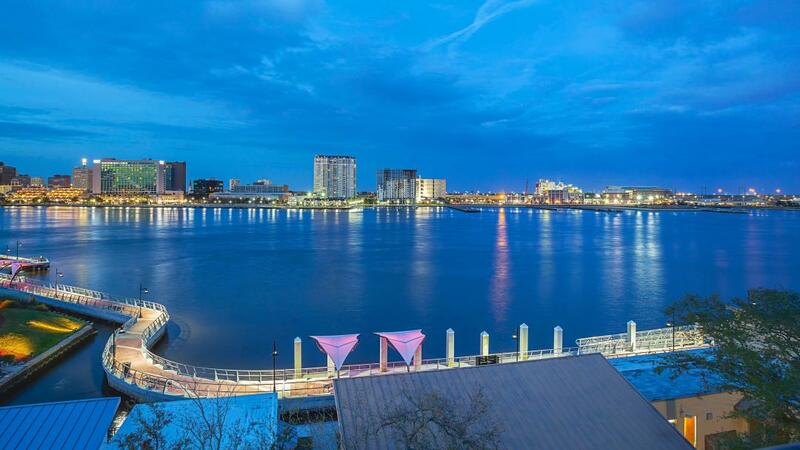 Our newly renovated beautiful hotel is located on the south bank of the beautiful St. John's River in Jacksonville, FL, the Lexington Hotel and Conference Center Jacksonville Riverwalk offers modern amenities, warm hospitality and thoughtful services. 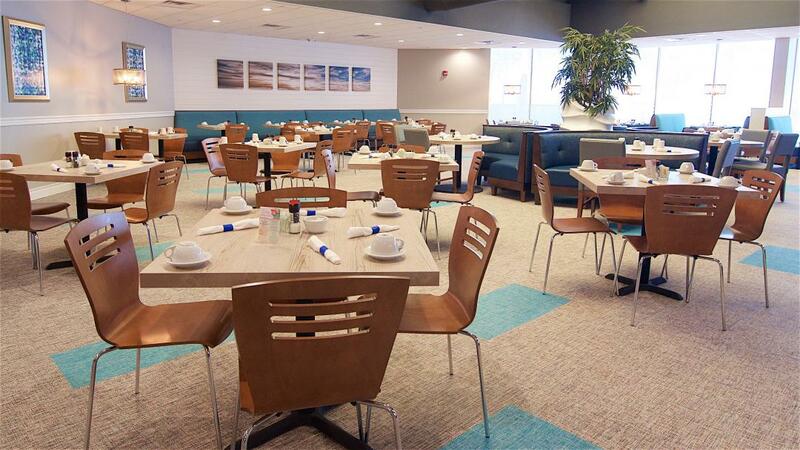 With a locale close to major local attractions like Jacksonville Landing and TIAA Bank Field, and minutes from the Jacksonville International Airport and the Atlantic beaches, this Jacksonville hotel is a premier choice for business and leisure travelers alike. 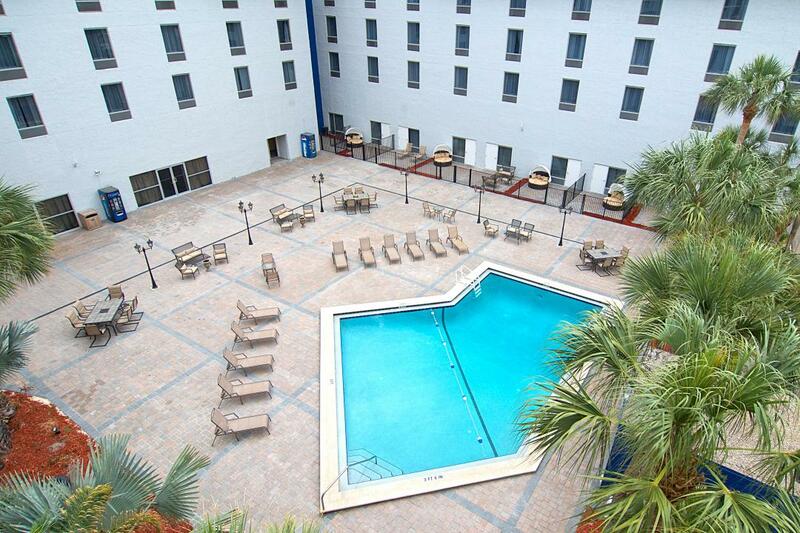 Our entirely smoke-free property boasts many amenities, including a sparkling outdoor pool and spacious sun deck where visitors can relax and enjoy the warm Florida sun. Those wishing to maintain their fitness routine while traveling can enjoy the on-site fitness center, or take advantage of surrounding outdoor jogging paths. The casual Pier 1515 restaurant serves up breakfast, lunch, and dinner daily, while the SouthBank Johnnies Lounge features a stylish yet relaxing atmosphere, perfect to enjoy dinner or cocktails. 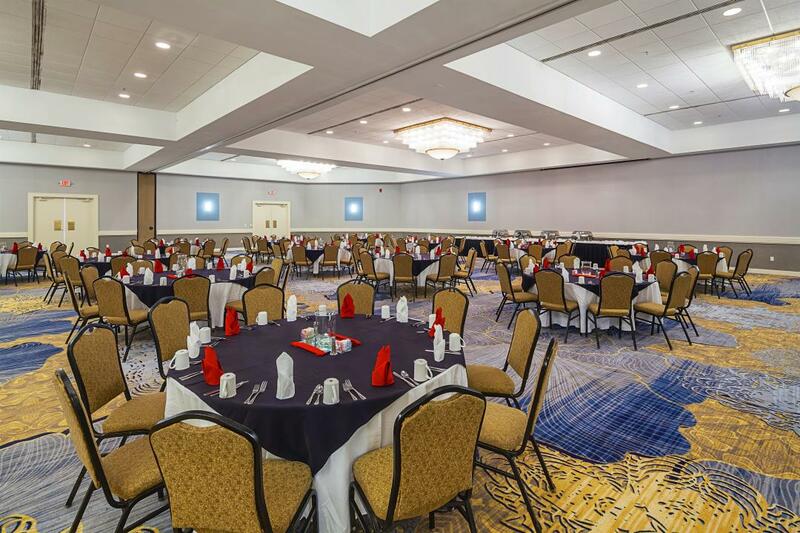 An easily accessible location, competitive rates, exceptional customer service, and attention to detail make the Lexington Hotel and Conference Center Jacksonville Riverwalk the perfect choice when visiting the Jacksonville area. One pet weighing 25 lbs or less is welcome in a pet designated room only for a nightly charge of $25. Pet designated rooms have limited availability. Aggressive breeds are not permitted. Allure Thai Bistro and Bar, 0.1 mi. bb's restaurant and bar, 0.1 mi. Ruth's Chris Steak House, 0.4 mi. The Southern Grill, 0.4 mi. Green Erth Bistro, 0.5 mi. River City Brewing Company, 0.6 mi. Bay Street Cafe, 1.2 mi. European Street Cafe, 1.2 mi. Casa Dora Italian Cafe, 1.3 mi. After a long day of exploration or work enjoy a relaxing drink in our onsite SouthBank Johnnies lounge. 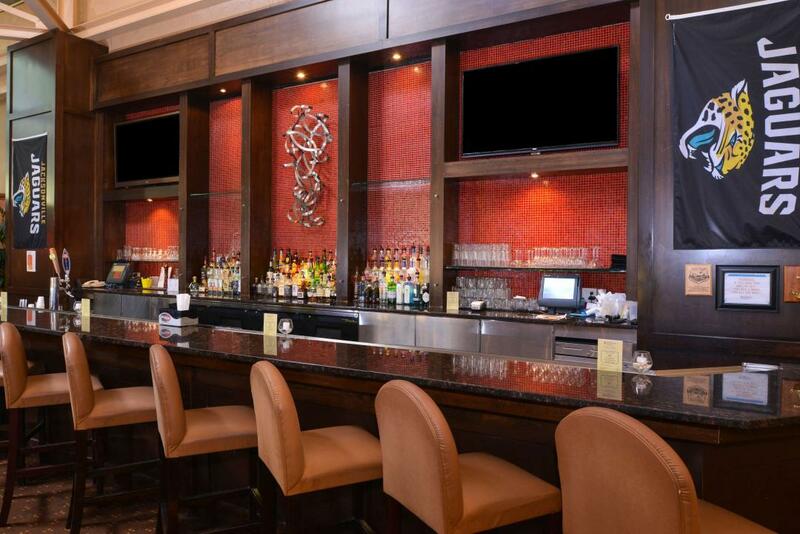 Enjoy happy hour or a casual cocktail in a stylish and relaxing atmosphere. American Cuisine serving breakfast, lunch, and dinner daily. Room service is available from 6am to 10pm. Lexington Hotel and Conference Center Jacksonville Riverwalk features 23 meeting rooms totaling 35,000 square feet of meeting space. The event rooms range from an Executive Boardroom that comfortably seats 10 people, to a 10,000 square foot Grand Ballroom that accommodates up to 1,400 people for a banquet or 50 10X10 foot exhibit booths. Our event planning staff will work with you every step of the way to ensure your business or social function exceeds your expectations down to the last detail. 35,000 square feet of meeting and conference space. The 10,000 square foot Grand Ballroom is able to accommodate up to 1,400 guests. Topsider is our rooftop deck featuring outstanding views of Jacksonville's skyline and the scenic St. Johns River. Our permanent amphitheater, the Compass Room, features state of the art audio visual equipment. Treaty Oak Park, 0.3 mi. Last Minute Massage, 0.6 mi. San Marco Square, 0.8 mi. The Jacksonville Landing, 1 mi. San Marco Theatre, 1.1 mi. Times-Union Center for the Performing Arts, 1.2 mi. J.S. Johnson Park, 1.8 mi. Riverside Arts Markeit, 2.1 mi. Boone Park Tennis Complex, 5.3 mi. Regency Square Mall, 8.1 mi. Bert Maxwell Boat Ramp (Trout River), 9.3 mi. St. Johns Town Center, 11 mi. The Avenues Mall, 12.5 mi. River City Marketplace, 14.5 mi. Windsor Parke Golf Club, 15.6 mi. Orange Park Mall, 17.2 mi. Oakleaf Town Center, 20.1 mi. Jacksonville Museum of Science and History, 0.5 mi. Museum of Contemporary Art Jacksonville, 1.3 mi. Jacksonville Veterans Memorial Arena, 2.1 mi. Cummer Museum of Art and Gardens, 2.2 mi. TIAA Bank Field, 2.7 mi. Museum of Southern History, 6.7 mi. Jacksonville Zoo and Gardens, 10 mi. Fort Caroline National Memorial, 14.3 mi. Little Talbot Island State Park, 29 mi. World Golf Hall of Fame, 29.3 mi. Amelia Island State Park, 35.4 mi.